BEST FIGHTER FOR CANADA: Convoy! These aircraft you see above will gather soon for a purpose. That purpose: So that the JSF can make its international debut in the United Kingdom. 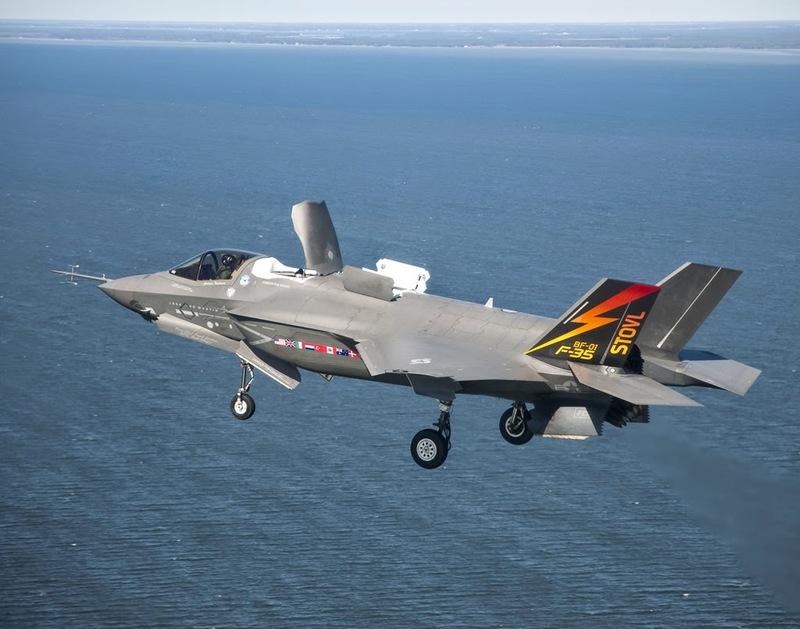 The F-35B is scheduled to perform a flight demonstration at the Royal International Air Tattoo in Fairford, followed by another aerial demonstration in Farnborough. There is also hope that the F-35B will perform a flyby during the HMS Queen Elizabeth's naming ceremony in Scotland. Four fighters, two tankers, one heavy transport, one medium transport and around 80 personnel. That is what is needed in order for the F-35 to perform two air shows and a fly by. 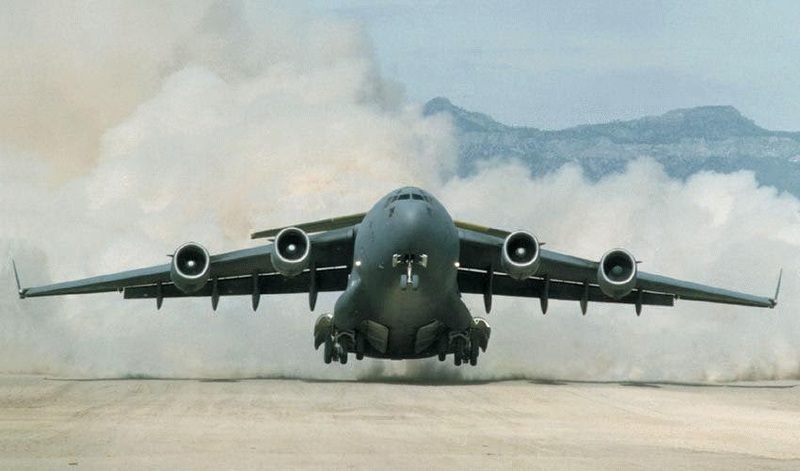 There may be a static display at the Air Tattoo, but the aircraft won't even be landing in Farnborough. There will be no vertical take off or landing, nor will there be any aerobatics. “This won’t be a Typhoon display, we are showing the unique aspects of the airplane, but it is not going to be doing 50 Alphas [angle of attack maneuvers] and [pulling] 9gs, because we don’t have that flight clearance,” Nichols says. It should be noted that while the AV-8 Harrier was capable of landing just about anywhere a helicopter could, the F-35B's exhaust is so hot that vertical landings require as special landing pad. Despite this measured approach to the F-35's international debut, tensions are high with the JSF program office right now. Flights were recently grounded due to an oil leak and flights have been suspended after an engine fire last week. Orlando Carvalho, executive vice president of Lockheed Martin Aeronautics, which manufactures the F-35, says reliable operations will be the most challenging part of the deployment to the U.K. “I know we can do it,” he says, noting that two F-35Bs operated ship-based trials consistently during in 2011 and 2013. But, he acknowledges, keeping the planes flying continuously for both events will be demanding. Reliability is “behind where it needs to be” today, Lorraine Martin, F-35 executive vice president, confirms. But as retrofits are infused into new jets on the line—and eventually added to the earlier ones produced—constancy is increasing. The Navy’s small fleet has been far more reliable, she says, because they are among the most recent to roll off the line and include retrofits to faults identified early in the flight-test program. The pressure behind this transatlantic trip cannot be understated. There is growing doubt in Europe over the F-35 program, with Italy possibly cutting its orders further, Spain deciding to keep its AV-8Bs, and growing criticism in Britain. Being seen at Farnborough, one of the largest aerospace trade shows in the world, was likely considered a "do or die" scenario. Not only is it important for Lockheed-Martin and the Pentagon, but it is also important for Britain's Defense Secretary Philip Hammond, who would rather not have a photo-op taken with a cardboard cutout. Hammond is keen to have the aircraft flying at the ceremony to show he is not buying a paper aircraft, and wants to avoid a repetition of events at which other defense ministers posed in front of – or inside – full-scale models when announcing their orders. Four fighters, two tankers, one heavy transport, one medium transport, and 80 personnel. Those are the resources required for the F-35 to perform at two air shows and maybe a flyby. These fighters are not going to some remote part of the world, either. For their stay in the United Kingdom, the F-35Bs will be stationed out of RAF Fairford, an air force base capable of housing the B-2 bomber. Not exactly a Forward Operating Location. For those of you that lost count while scrolling down, that is 10 Saab JAS-39 Gripens and followed by a single C-130 Hercules. 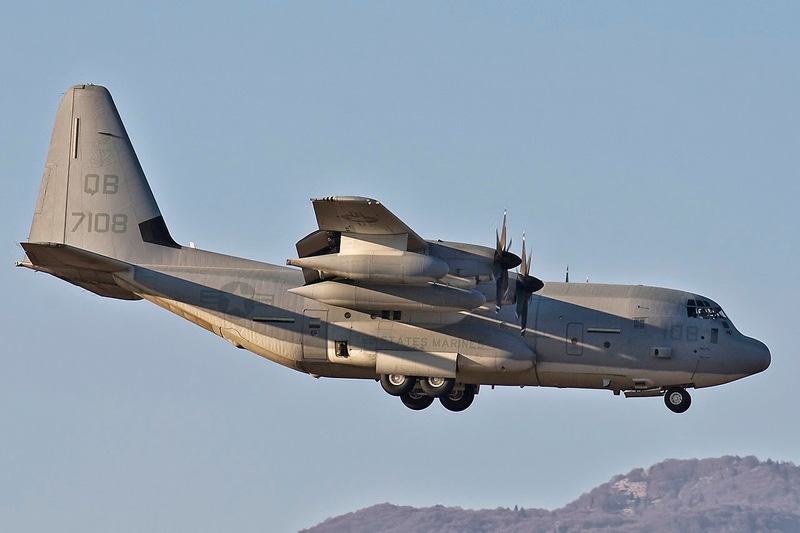 All the equipment and spares needed to support those 10 Gripens for a 4-week expeditionary deployment can be stored in that single Herc... With room to spare. Four F-35s, 2 KC-10s, 1 C-17, 1 C-130... For a couple of air shows out of a major air base. Ten Gripens and a C-130... For a 4-week deployment. Fabulous Doug, keep the good stuff coming. Farnbourough is closer than the northest airbase from the southest airbase in Sweden so there's no problems for Gripens to fly over northen sea to visit Fairford or Farnbourough. Absolutely fantastic post Doug! This is one of those things that constantly gets overlooked with the Gripen – its robustness in the field and very small support foot print. They made and impression on other air forces in Libya and in the recent MEATBALL exercise the RAF was surprised by how few personell and little support was needed for Swedish Gripens to take part in the exercise. What a joke! This looks like presidential detail, rather then a air show detail. You have a good sense of the dramatic. I love the stacking! Almost has a "ya think?" quality to it. Was at Chapters today and was looking at Air Force magazine. Saw a bit on Saab withdrawing from the competition in 2013. Are they back in, as officially in, with the NG? Anybody know why they withdrew? Range? 1 engine? Told to get lost? In the future what would Canada need to get six F35's to Romania for a pro-longed operation? 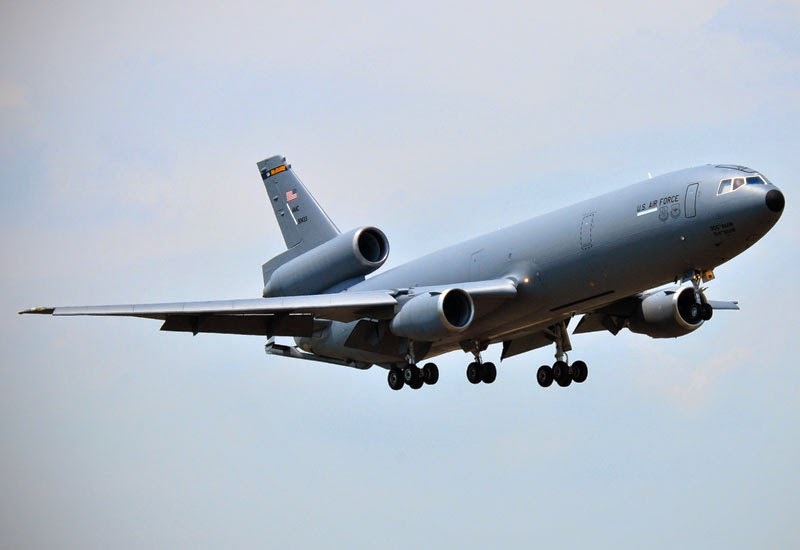 We can't even do air-refueling without paying a contractor. I wonder if the navy is involved as well. I would guess that there will be a few ship between the U.S. and the UK, just in case . I am also suprised that they told anyone how many F35's are going over, just in case one does not make it. Good luck test pilots. Canada could never afford the Amount of support aircraft required to take it anywhere. Maybe Lockheed Martin through a in a free Hurcules with every twenty aircraft. You could not have a strike mission from the US, the enemy would see all the support aircraft, so much for stealth. B2's would have to be converted to air refueling tankers. That would not work, know body would find them, hmmmm. I hope you will indulge me in a little here. I read a few response. Does the SH really handle like a pig? Is it a pig compared to the other candidates but still a pretty good flyer? Also, I tried to find stats on how many F-16 went down because of engine trouble, any idea? Do you need two engines to be a real dog fighter? The F-16 would prove this wrong but then the Su-30, F-15, Rafale and EF would say otherwise. But given that our Air marshals were swearing on the F-35, can't be that important! I saw a few comments about the Sukoi being top dog. What about training, tactics, reliability? Also, we have over estimated Russian systems before be it by mishap or for political reasons, is this also a case? Air superiority over Canada ... ahhhh maybe somebody is exaggerating a little here? Saw the article on the Gripen vs EF. Did I read that correctly in that the EFs got smoked? Even though they try to support two engine fighters the stats they provide show a trend towards improvement. Also they don't include Gripen stats which has zero failures. My hope is that there is a competition and I have expressed that to my MP. I can't see that the F35 has ever been in a competition, a true competition. Is that because it is not ready to do that yet? It truly can't compete until it has it is operational with the USAF(2016/17). So for Canada to hold a competition it would have to happen around 2018 and by that time the other guys are older, or stopped production, or advanced with comparable technology and sensors. Thanks for the link but somewhat disappointed. Did a lot of stats in university so significant means ... well significant! To justify an 80 billion overdraft because of 4 or 5 engine failures which probably will not include deaths, is perfectly in line with the expression ... there are lies, damn lies, and statistics! As for the idea of pilots dying for no reason, and do not get me wrong here as I do not minimize death, everything has a cost. You play with the bull, you get the horns. The more I look at the Gripen, the more I like it, and no, Doug has nothing to do with this even though he has invited me over for a BBQ and Irish beer ;) Okay that part was a total fabrication but it is in line with the conservative policy of spin and misdirection ... there I go again. Most interesting for Canadians is the F16 didn't start reliable but evolved to that point. If the government/dnd are performing risk management exercises it is hard to imagine F35 reliability hasn't started contingency responses. 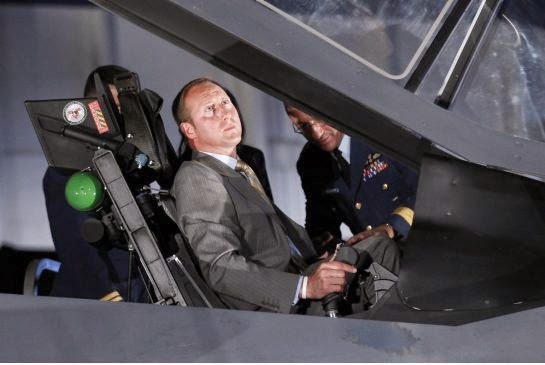 Doug ... Paul called the Gripen an F-5 on steroids! Help me out here! I read the articles, look at your chart at the beginning of your blog, saw the promos, ... given it will be the NG, ... I think it can hold it's own in a big way... but an F-5 on steroids... that hurt! It has fantastic systems, versatile, maneuverable and cheaper than the Rafale in all respects. Regarding 1 Gripen C defeating two Typhoons. Yes if you mean the recent Meatball exercise that is true. As far as I understood the only thing that was predetermined was that the planes could not engage BVR. It was a little vague but as I understood it the Gripen C had Helmet Mounted Display whereas the Typhoons didn't. It's not like the Gripen pilot just turned his head and fired. He had to manoeuvre incredibly heard to be able to lock on. HMD does not remove the importance of manoeuvrability. Also as the pilots wrote the helmet feels like it was made from lead in the first turn. Imagine trying to turn your head at 9G with a helmet on. Both Gripen and Typhoon are beasts WVR. The Typhoon has much more thrust than the Gripen C but the Gripen is much smaller and lighter and therefore nimbler. The Gripen E will have a very similar thrust-to-weight to the Typhoon and will be a WVR monster. Understand that the most important thing in these scenarios is pilot skill. All planes have their strengths and weaknesses. The Eurocanards are very similar performance wise. 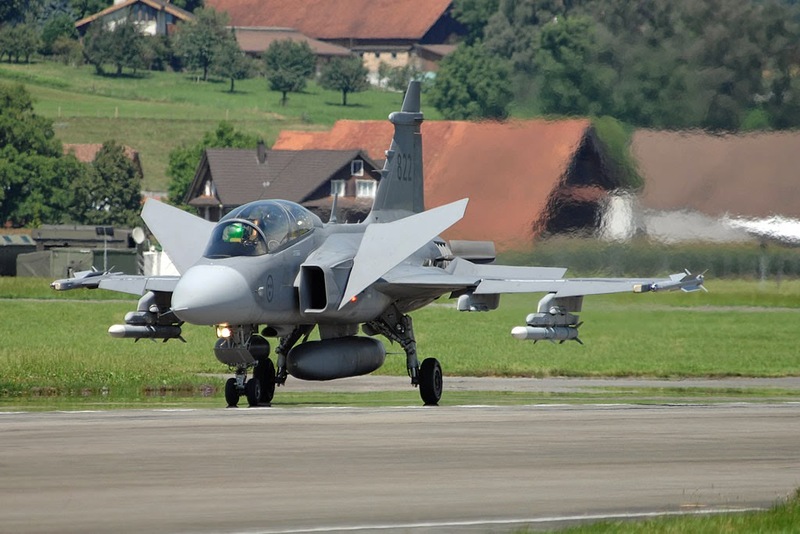 The Gripen is not as good at heavy loads as the bigger twin engines, but its smallness instead gives it an edge in air-to-air and decreases its logistical and economical footprint. Very interesting and I wonder when our cf-188 went on bombing runs what the average load was. As for air to air, I do not think we have any since the Korean war. Thanks Shawn. Great article. Can you believe, after this cluster f*&^, they made Mckay minister of justice? Did anybody lose their jobs over this? This is not incompetence, nobody can be that stupid? Can you imagine a 126 billion screw up for a small nation like ours? Why would the Typhoon pilots not have had HMDs at this occasion? Reference, please! In a way, calling the Gripen a F-5 is a bit of a compliment. By all accounts, the F-5 is cheap, easy to maintain, and a pleasure to fly. Actually, it's much closer the the F-20 Tigershark. The F-20 (derived from the F-5) was a more capable version with BVR capability and a more sophisticated radar. No less than Chuck Yeager praised both aircraft as among his favorites. The Gripen lacks the payload of some larger fighters, but in the day of precision over carpet bombing, I don't think that matters much. Impressively, the small Gripen E can carry the same load as CF-18. The F-20 was one of the planes Sweden looked at (the other alternatives were a "sweeded" STOL-capable, more robust and more serviceable F16 or the F18). In the end it was decided to instead develop the Gripen. The F20 is one of my favourite concepts and if not Gripen then I hope Sweden would have gone for the F-20. The Gripen is more modern than the F20 is though. oh, I forget, the Mirage 2000 was also considered. An STOL Mirage 2000 with canards would have been great, and less expensive than the twin engined jets. F15 - June 72 - Jan 76. Hard to believe, but this tells me that it takes so long to get these fighters in the air, that you need to start on the next generation before the hand the F35 over. Or build a combination of high tech and low tech fighters. With some time off, I plan to write to my MP as well. The bureaucrats already know what there is to know. They might try to buy time, but I think they truly fear another Up-Holder screw up. Will they get the bugs out and lower the costs? Bugs probably, cost, no! I think that total cost might be the kicker for the F-35, in terms of Canada, that is. We are a center left nation, with Harper trying to bring us to the right. Waiting lines on hospitals, full time jobs disappearing, senators double dipping, ... and you want to spend 126 billion on 65 airplanes ... sorry but you got to be nuts. If you think the "anybody but Harper" movement was abrasive before, this will be like kicking a grizzly in the nuts. Worth noting that even though the Eurocanards first flight and delivery dates vary their development started around the same time. Lets stay on the ball and keep the politics out. We would not be even having this discussion if it was any other government, they would have slash and burn and Doug April Fool joke(good one) would be happening. You are absolutely correct and please pardon my divergence into the murky world of influence and taking lolli pops from children (Red October). I still stand with my intuitive and better informed opinion that the Gripen NG or even the Rafale would best benefit the nation both in terms of defense and our economy. I am still out on the Growler as an article on the Gripen states that it will have state of the art countermeasures (passive at that). Feel free to comment on this part. Also, no one has commented that the SH flies like a pig. Was that a cheap shot? A relative statement? Or just plain true. So, in your opinion, what's the best fighter jet for Canada taking cost into consideration? F-35, F-18SH, Gripen, Typhoon, Scorpion, Rafale, FA-50, F-5, combination of two, other? ?